It was in January 2017, that I received a profile based interview shortlist for SPJIMR. I was working in KPMG’s office at Goregaon, Mumbai when I received the email. I was absolutely overjoyed at the proposition of being a part of a premier business school based out of the financial capital of India and also my hometown. As soon as the news of the interview call broke out, coaching classes started sending us long schedules of interview preparations. I was dismayed at the fact that I would not be able to attend most of the sessions, which having been scheduled on weekdays would be in direct clash with my office timings. I was worried because I believed that I would lose out to the others who were taking special efforts on improving their interview and soft skills to crack the much-feared interview process of SPJIMR- the group interview. I scheduled my interview in January itself (First phase of profile based shortlists) on the first day, the first show of the slots available. After all, I had to rush to the office after the interview. I was being viewed as a possible candidate for a promotion and I did not want to lose out on that opportunity. Hence, I was performing a fine balancing act of keeping people at the office happy and also giving due attention to the interview and selection process of SPJIMR. My interview was conducted by two faculty members and lasted for around fifteen minutes. I was the first person to be asked a question, which was about my experience of working with KPMG. The questions were direct and related to the work which I performed- both as an experienced auditor and an articled assistant. I was asked about the clients which I audited. I named only those clients which were public listed companies since private engagements come with the clause of confidentiality. The questions were based on how organization cultures differed at the various clients I had audited, about my job description and achievements. We were a panel of six, out of which three were applying for the finance specialization and the other three were aspiring for the marketing and information management specialisations. The conversation was moving towards an important subsidiary of the listed client which I was auditing and how it was in the news for venturing into a new business. It had run a bold marketing campaign. The faculty quickly moved the discussion to the marketing aspirant, asking her view on the marketing campaign. Unfortunately, that girl was not very well equipped to answer questions on current affairs. The other aspirants were also asked similar questions- more related to their employment experience. A participant was working with Bajaj automobiles. After he answered questions related to Bajaj, the interviewer asked me if I was aware of the stock price movements of the Bajaj Automobiles scrip on the stock markets. Thankfully, I was able to give them the price fairly accurately, since I am an active investor in the markets. The second group interview was conducted by senior faculty members after a small break after the first group interview. That interview was more focused on understanding the kind of people we were and our perspectives on life in general. The questions were well rounded and I required some time to answer them. I did not hesitate to ask for some time when I needed it. Questions later moved on to our understanding our perspective of ethics, corporate social responsibility and our worldview in general. The second interview was comparatively shorter but involved a considerable amount of on the spot thinking and introspection. To sum up, the interview process was a challenging exercise, which required one to demonstrate problem-solving skills. 1. Have a deep understanding of your work and the implications it has on the corporate world. A Chartered Accountant who signs an audit report or files a corporate tax return performs important acts in the smooth functioning of the economy. 2. Have pride in your work. Chartered Accountants generally have a low self-esteem of the work they perform. This statement is out of pure experience and interaction with peers. 4. Remember that accounting and audit are not the reason for running a business. Ease of accounting never dictates business decisions. 5. Do not boast, because you have not arrived anywhere in life yet. Nobody will give you a chance to be a part of a business school merely because you cleared a very difficult exam. 6. Be clear on what you want to do an MBA for. If you are running away from audit or tax, be blunt about it. 7. Do not fake the psychometric test. You would not be able to lie consistently well enough through the two interviews. 8. Be aware of your professional ethics. You are governed by them. Client confidentiality is supreme. 9. 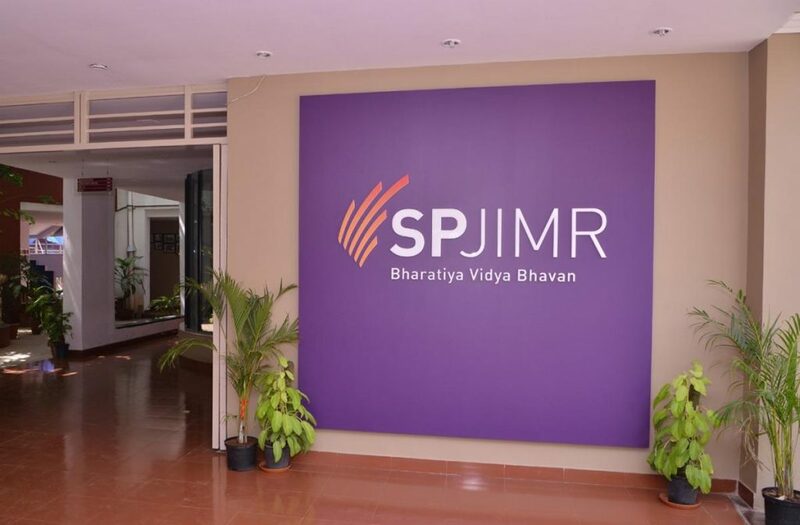 Have a good read of the SPJIMR website. It would enable you to have an understanding of what the Institute really stands for. 10. As a part of the preparations for current affairs, I would strongly recommend you to read ‘The Economist’. It is a great magazine to be abreast with world current affairs, especially finance and economics. To conclude, I would just say ‘Perseverentia et fide in deo’ which means- perseverance and faith in God. All the best! Hope to see some rocking CAs in the next batch! Shrinivas Sane is a PGDM candidate at SPJIMR, Mumbai. A Chartered Accountant by profession, Shrinivas worked with KPMG before joining SPJIMR. He loves travelling, reading and swimming at his leisure.